This costume includes a jumpsuit with a molded logo, removable cape, molded gauntlets, 3D boot tops, belt, and a full vinyl mask. Does not include shoes. 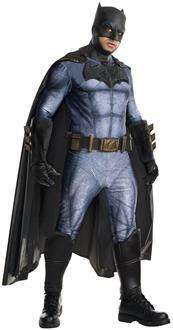 This is an officially licensed DC Comics Batman costume.